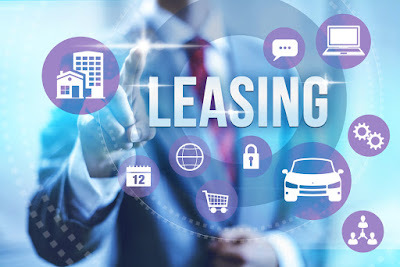 The Mysterious World Of Auto Leasing - Auto leasing and the marketing thereof have been somewhat under the radar the past few years due to very low interest rates offered up by lending institutions. For most, the allure of leasing a car has been the advantage of lower monthly payments. With the low financing rates, this advantage has been shifted to traditional financing. The world of car leasing has a long history of being somewhat less than straightforward. Even now one can find some pretty good deals out there, but the financial process around leasing a car can still be more than a bit confusing. And it’s this confusion that can leave you with a less than warm and fuzzy feeling after your leasing transaction is all said and done. So, in an effort to avoid or mitigate the confusion when it comes to auto leasing, let’s take a look at some basics. In auto leasing you are only paying for (in the form of monthly payments) the portion of the car that you use over the life of the lease (the part you use is how much the car depreciates). As part of your monthly payments, you’ll also be paying sales tax and finance charges. Yes, finance or interest charges. In car leasing vernacular this is known as the ‘money factor’. What determines how much of the car you will use is the car’s residual value. The residual value is a predetermined number as to what the market value of the car will be at the end of the lease. For example – if a £20,000 car has a residual value of £11,000 at the end of your 36 month lease – this means that you will have used £9,000 of this car; so your monthly payments will be based on £9,000 over 36 months. As you can see, the better a car holds its residual value or the higher that value is... the more favorable your monthly payments will be. More often than not the money that you will need to come up with up front is your first monthly payment and a security deposit. Of course, you are more than welcome to put more money down (cap cost reduction) just like when purchasing a car; if you want to lower your monthly payments even more. The cap cost or capitalization cost is another name for the price of the car you’re looking at. And, just like purchasing, you can and should negotiate the price or in this case the cap cost of the car. In fact, I wouldn’t even disclose the fact that you’re considering leasing until you’ve negotiated and agreed on an actual selling price of the car you’re looking at. As you see, doing your homework is every bit just as important as and probably more so than when you are actually purchasing the car. Negotiating and leasing a car based solely on achieving a monthly payment is probably the number one reason consumers get stuck paying too much. Cap cost reduction is almost always negotiable. If a dealer tells you that it is not or unwilling to do so… they are plenty of other vehicles and dealers that offer and will. We touched on the ‘money factor’ which is the leasing equivalent of the interest rate. Are you getting the best possible ‘money factor’? Just like the purchasing side, the dealer can add points to a money factor just like they can to an interest rate in order to maximize their profit. This is why it is extremely important for you to know your credit score and at what interest rate you qualify for before you even set foot in a dealership or you could really get … well … made love to. Many factory warranties on vehicles run for 36 months. This is a good reason not to be looking at leasing a car for longer than the factory warranty. In addition, once you get out past 36 months on a car lease, you rapidly start losing the advantage of the residual value since most depreciation occurs early on. Lastly… well, maybe not lastly when it comes to leasing but lastly within the scope of this article; if you have good credit, or perhaps have been a good or repeat customer, ask the dealer to waive the security deposit andor the acquisition fee. First of all, they won’t if you don’t ask; and secondly this is certainly a fair request as part of the negotiating process. Worst case they say no. Best case... you save some more of your hard earned money.